This unique luxurious rug is made of plush tanned gray fox skins. 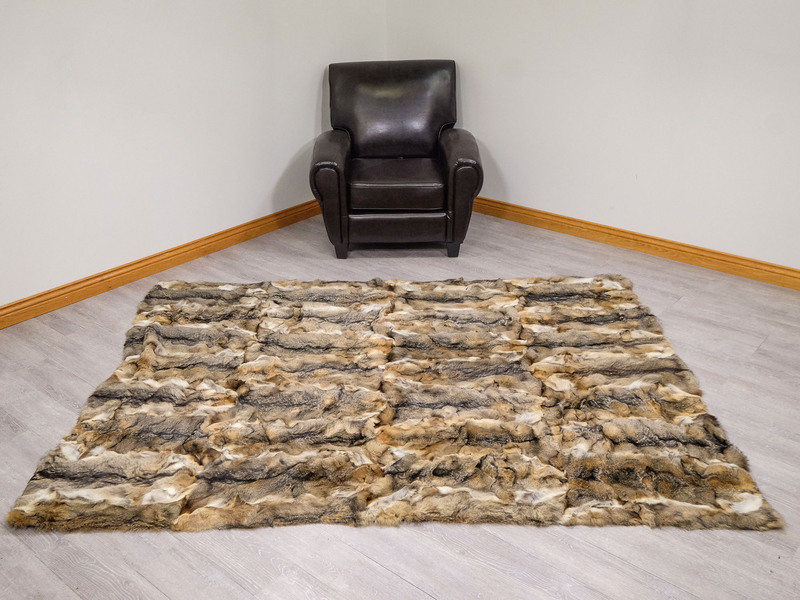 The rug is of beautiful shades of grays, browns, and blacks and will add an exquisite touch to your living room or bedroom and keep you warm. 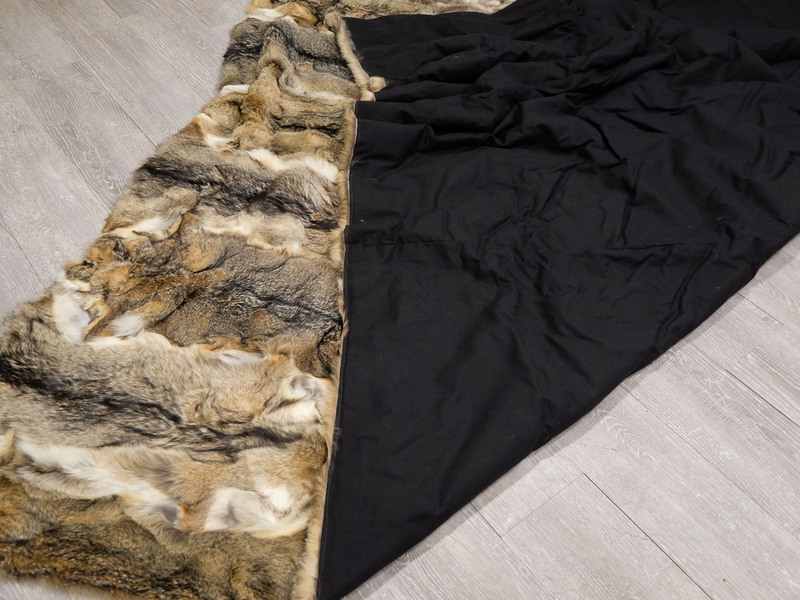 It measures 6 by 8 feet and is lined with black cloth on the back. Genus and species: Lycalopex griseus. Wild.